A great night was had at the well attended Cavan GAA Breffni Allstars & Awards 2017. A huge thank you to our generous sponsors Jimmy and Peter Scanlan of Elegant Gems and Scanlon Jewellers in Cavan Town and Ray Cole and the Cole family of Virginia International Logistics. We take this opportunity to thank all our sponsors and ask you to support them whenever possible. 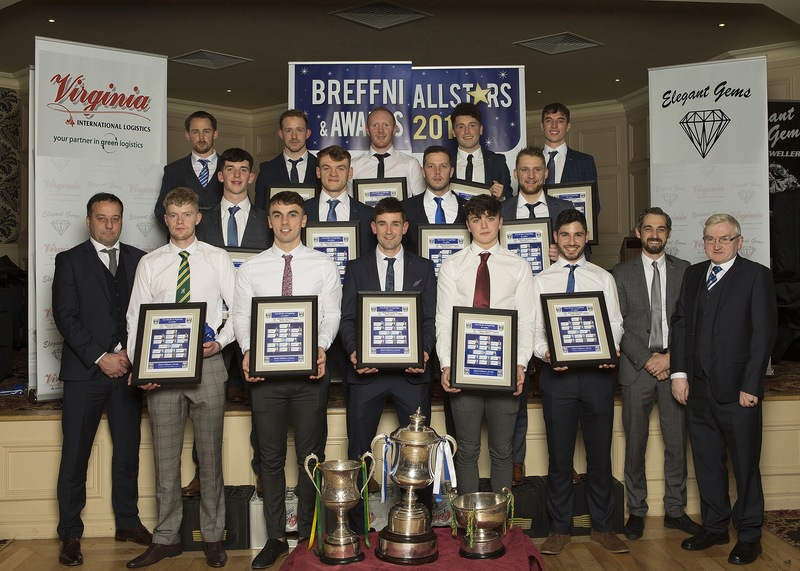 The Breffni Allstar team received their awards, a Breffni Allstar framed photograph with the team line out and a unique Breffni Allstar jersey. 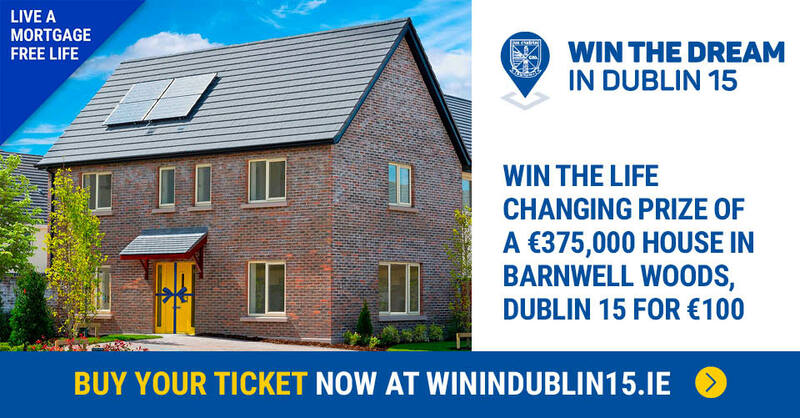 The team was picked from performances in club championships, Hotel Kilmore Senior and Intermediate, Cully’s Craft Bakery Junior and Farnham Arms Hotel Minor Football Championships. 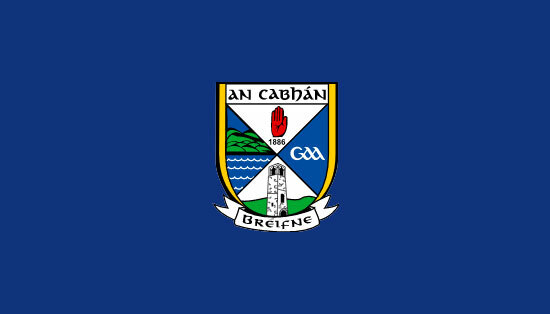 Senior, Intermediate, Junior, Minor and Hurling Players of the Year were announced. Congratulations to to all nominees, they are all winners. There were referees awards for the three county final referees, Gerry Sheridan (Mullahoran), Chris McCaffrey (Templeport) and James Clarke (Killinkere). There was special presentation to Brendan Murtagh and his wife Martha in recognition for the outstanding and ongoing contribution and support by Brendan and the Kingspan Group that has spanned over twenty two years. Brendan and Martha very deservedly received a standing ovation as they made their way to the stage. Brendan received a unique commissioned photograph collage by Adrian Donohoe depicting an aerial view of Kingspan Breffni, our senior team wearing Kingspan jerseys and the Kingspan logo inset onto the pitch while Martha was pressed with a bouquet by Colleen McCabe. They last award of the night was the Club Breifne Cavan County Player of the Year for 2017, team captain Killian Clarke. Killian is in Australia with the International Rules team but sent a message from down under. A huge thanks to all who helped organise the night. To our selection and organising committees. To the Hotel Kilmore for the fabulous meal as always and for their help in setting up the venue. To our ever professional masters of ceremonies Damien Donohoe and Micheal Brennan. To Adrian Donohoe, George Cartwright, Liam McCabe, Eileen Clarke, Barbara Fortune, Cavan One Hour Photo and Elegant Gems for their help with the awards and tickets. To Tommy and Niall Reilly, Greg Meehan, Peadar Soden, Jimmy Higgins, Larry McGinn and Mark O’Rourke for work with graphics and video clips and last but not least to Colleen McCabe for her assistance with presentations.